There Ain't No Law Against It! This past week a friend of mine called and told me about an incident that occurred in his church. Basically he told me that their Youth Pastor was leading his group in prayer and someone wanted them to pray for an out-of-town relative who was in serious need for healing. The Youth Pastor asked for one of the youth to stand in for the person they were praying for. The youth group then laid hands on the person on behalf of the person in need. When the Pastor of the church heard about this, he told the Youth Pastor not to do that again because there is no place in the Bible where this was practiced. Selah. This is an issue that I've seen repeat itself in many forms throughout my life and we must gain clarity. God does not want us ignorant and He surely doesn't want us in fear. Here are some other things that aren't in the Bible: Air-conditioning, ipods, facebook, electric guitars, U.S. Postal service, checks, credit cards, Christian Television, just to name a few. Here are some acts that aren't found in the Bible: Baking cookies for your neighborhood, standing against abortion, calling your congressman to vote for just causes, the 'Sinners Prayer', televangelism, closing your eyes in prayer, driving a car when Jesus clearly walked, preaching against the gifts of the Spirit, etc. So what gives us the right to do these acts or participate in the enjoyment of things when they aren't in the Bible? Did Jesus do anything that there were no scriptural references for? Did Paul or Peter do anything that did not have a scripture to back it up? What scripture did Jesus use that told Him to make mud with spit to heal the blind mans eyes? I know your saying, well that was Jesus. (Is this the same Jesus your telling people you want to be like?) Okay, so I'll use Paul as an example. He laid his hands on handkerchiefs and aprons according to scripture and the people took them to the sick and they were healed and delivered! What scripture was that based on? I could go on and on. With these things said, what does give us the freedom to do things that aren't necessarily in the Bible and what should we restrict ourselves from? The answer is in Galations 5:16-23: I say then: Walk in the Spirit, and you shall not fulfill the lust of the flesh. For the flesh lusts against the Spirit, and the Spirit against the flesh; and these are contrary to one another, so that you do not do the things that you wish. But if you are led by the Spirit, you are not under the law. So there it is. Simple isn't it. That takes me back to the incident I opened this topic up with. Did the Youth Pastor want to do a work of the flesh or was his heart to release the love and healing of Christ to someone in need? Was the Pastors heart to stop the Youth Pastor from doing the act to hurt or help his people? Would the youth pastor submitting to his authority be an act bearing the fruit of the Spirit? Based on Galations a believer can do anything that produces the fruit of the Spirit and should restrict himself or herself from the works of the flesh, which are evident. The Bible says Jesus only did what He saw His Father doing and He only said what He heard His Father saying. He followed after the Spirit and told us to do likewise. Against such there is no law. So if there ain't no law against it, do it! The term 'Wind of Change' is being heard and spoken a lot today in the body of Christ. Specifically the term is being used most at this time with the 'Lakeland Outpouring' where Todd Bentley has been ministering. Bob Jones saw an angel named 'Wind of Change' that was directly involved with the Lakeland Outpouring. However, the first time I heard the term was sometime around the end of March or the beginning of April. I heard the term 'Wind of Change' from a Pastor friend of mine named John Bagley who Pastors a church in Alma, Georgia. He had a dream that he called me about to get my input on. In the dream he saw a series of events take place and the last thing he heard before he awakened was 'Wind of Change'. The dream certainly reflected what God was wanting to do in the earth concerning His church and some of the fears that would arise in believers when it took place. In the dream John saw a tornado headed straight towards him. His first reaction to what he saw was to rebuke this tornado that looked as if it would devastate everything in it's path. However, after pondering all the elements in the dream, he realized that he was rebuking the very wind God was sending into the body of Christ for the purpose of change. Either that day or the next John read an Elijah List post where Bob Jones saw an angel named 'Wind of Change' being released to minister in cooperation with a third wave of revival that would spread and would not end. This is exciting to ponder and what I feel led to point out is not so much the proclamations of the change, but what it might look like and what it may feel like to us who have been holding on to religion, tradition, and the doctrines of men. I believe John Bagley's dream reflected the heart of many in the body of Christ and where we are as believers. His first reaction to the 'Wind of Change' was to rebuke it as an evil destructive force that is on a collision course with the Church as we know it. What would lead us to rebuke something God is saying or doing? I remember a quote by Dr. Kenneth Hagin saying, and I paraphrase, "whatever your not up on you tend to be down on." That says a lot. We as humans don't like something unexplainable that can't be labeled or put in a box that can be put away and retrieved at will by our discretion. We don't like things that look different or tend to change the way we may appear to society. Art is a good example of this. Art is as unique as the artist who releases his or her art whether it's music, painting, sculpturing, etc. This uniqueness is the vast beauty and heart of God being released in the earth. In the United States alone there are many cultures that coexist in one country. When a culture has embraced God and His word it will reflect his nature through the diversity that comes within the culture. If a rock band gets saved and comes out from where they were, they still have to bring themselves with them! That doesn't mean they stay in a sinful condition but if they like the sound of rock music before they are born again, they will probably like that sound after they are born again. Of course after being born again they are bought with a price and will not have a heart to exalt themselves through their music but rather they will exalt God with it. Why did God purchase them with the great price? Because He specifically wanted them just as they were at that moment! Now the challenge for the church is where will we let them fit in with the rest of us. I am a musician. I've been playing in churches for a long time and early on I departed from the kind of music that was dear to me for the purpose of fitting in. For me that lead to frustration. I have now abandoned that mindset so that I can be a more honest vessel. I can't tell you how many times when people heard me play how they wanted me to come play for their youth. I love playing for youth, but I'm forty seven years old and I like the music I play. Why couldn't I be invited to play at the main event! Because there may be some explaining to do afterwards! I might defile their temple! Do adult Christians only like hymns or conservative worship choruses? To be honest, I believe that most Christians would be far more comfortable hearing me in a bar than in church but why is that? Now that I think of it, I might be more comfortable in a... never mind. What are we as believers afraid of? What I'm saying should in no way be taken as irreverent, and holiness should never be compromised. But are we calling something unholy that God made holy? Remember Peter when the sheet came down before him in a vision and on it there were all kinds of animals and beast and the Lord told Peter to kill and eat three times. Peter said no Lord nothing unclean has ever touched my lips. And the Lord responded saying do not call unclean what I have made clean. After that the Holy Spirit poured out on the Gentiles and Peter experienced God fulfilling His promise to bring salvation to the Gentiles, a group despised by the Jews and who were seen as unclean. Anything that is out of our comfort zone looks as uncontrollable as a tornado to us. We have to keep the house of God looking a certain way or we will lose control (we think). That is mega bologna! Does God really depend on you to steady His ark? Where were you oh man when the foundations of the earth were laid. We think God would not do something a certain way, only because we wouldn't do it that way. When we think that way, what we are really doing is reducing Gods ability to ours. If we feel that way, we really think way to highly of ourselves. We would rather spiritually clone ourselves than to experience diversity and change in others. God wants this diverse spectrum of who He is to reflect His vastness. He may come to us in a number of ways we can't imagine and it will be our responsibility to know His voice. When He comes in a unique way there are definite attributes that will be seen. There will be fruits of the Spirit, power, division, persecution, and great blessing, just to name a few. And it will be a holy expression of His love. We must embrace these 'Winds of Change' and not find ourselves rebuking the very winds of God that's meant to bring this change about. In the sixties there was a change in our society that I believe was a prophetic event that points to what is happening today first in the Church and then to the world. I believe that society in the sixties before the 'hippie movement' or 'summer of love' represents the current condition of most of the body of Christ. We were a very fixed conservative society and a wind of change came in and forever changed the face of our society not only in America but in the world. This is not to say that there wasn't ungodliness that sprang forth during that time, but nonetheless the earth experienced a deep change that is still being felt today. I believe this was a natural illustration of what God plans to do in His kingdom in the earth. It doesn't surprise me that Bob Dylan sang, "the answer my friend is blowing in the wind, the answer is blowing in the wind." And I’ll be back for them one day! These are the lyrics to a song I wrote about three years ago. The words have been speaking to me lately. What is the cost to carry the cross and what are the promises that come with the job? Our answer to this question will dictate the direction the Church is going towards from this point on. What kind of life did Jesus (or Yeshua to you purist) promise us when He asked us to lay down our life, pick up our cross, and follow Him? What did He intend? Was He talking about one of those gold crosses we wear around our necks? Was it a cool tattoo on our arm? Or was it one of those, the evangelist (of whom I have a deep respect for) carry over their shoulders with a wheel on the end of it? Do we pick out the color we want? Would we want the latest and coolest looking cross we could find? Would we want the model that doesn't offend others around us? Would we want the best cross money could buy maybe with one of those fish emblems on it? Or maybe we would get one that was sure to hold the extra weight we've been carrying. I'm sure we would like a model that causes no pain or discomfort. Perhaps something light without burden that we could dance with and it wouldn't look stupid to others. Do we proudly carry it or do we carry it with humility and grace? Maybe we would like one of those we could use as a weapon against others to put them in their place. What have we as the Church reduced the cross to? Do we design it ourselves, or was it designed for us? What did the cross do to Christ? Do we think that the work of the cross does less for us? Have you ever considered these questions? Are these questions worth considering? Are we trying to carry a cross that promises comfort, riches, and the 'American Dream'? What does the cross promise? What does it look like? To the proud it appears to be spiritual weakness. To the intellectual it may appear to be insanity. To the wicked it may look like the time for them to attack. What I do know is there is one that is designed especially for all of us. It's uniquely designed with you in mind. Specially crafted to slay an old nature we say we don't want. Paul carried his cross to the end. He was beaten, stoned, shipwrecked, imprisoned, and ultimately martyred. Yet through all those things he said he was more than a conquerer and penned the majority of the New Testiment turning the world upside down from behind prison walls! The one thing I know that the cross produces is death. It produces the death of a carnal nature, that we chose to, and promised to leave when we were born again. Over and over I have had to choose whether or not I would stay on it or not. When some injustice happens that hurts or angers, I'm faced with the choice to stay up on it or come down. When temptation comes I have the same choice to make. Those are just a couple of ways it can look. To Paul it was being beaten and left for dead, imprisonment, abandonment, and finally the laying down of his life. There is absolutely no way to escape the work of the cross for the Christian. The process was designed for us and is full of purpose. The cross did not stop Paul from accomplishing his destiny nor did it stop the destiny of Christ, rather it was part of the fulfilling of their destiny. It's designed to be this for us. Scripture distinctly declares that with blessing there WILL BE persecution! Keith Green once said that Christians would like a posturpedic cross! So many of us are asleep right now because we've picked up another cross that comes with the promise of earthly gain and comfort. It comes from poisoned doctrine that flows from pulpits all over this land. Don't get me wrong, I want to prosper and be in health, and I believe God wants us all to, but not at the expense of laying down the cross that was designed for us. Did God want Paul to prosper and be in health? Did He want Stephen to be in health? Were they less spiritual because they suffered? We are told to be like Jesus. Did He suffer the cross? If we saw one of our leading ministers today suffering some public humiliation we would immediately assume something must be wrong with the individual. That's because we've swallowed the poison of the enemy. Paul declared that everybody but one guy left him. Jesus was abandoned by his diciples for a moment because of the fear of humiliation by association. Paul said follow me follow Christ. Did he suffer the sufferings of Christ? Am I suggesting that you go look for a way that you too can suffer like the great ones of old? NO! A million times no. I can assure you if you choose to burn with passion for Christ, you won't have to look for your cross, it will find you! Daily when we are following after Gods heart, we are experiencing the death, burial, and resurrection simultaneously! By death, I mean crucifying of our fleshly carnal nature. By burial, I mean reckoning ourselves dead to our sinful nature. By resurrection I mean living in the new creature, our divine nature born of God! We should never be ashamed of our cross nor proud of it. We should only be ashamed if we are unwilling to carry it. The work of the cross is absolutely instrumental for revealing life in us and through us. Scripture says that Jesus learned obedience through His sufferings and He carried His cross long before He was crucified on it. The cross is designed to drive us to our knees (wrestling in prayer) only to stand back up totally empowered with the flames of passion for our Lord and the clear understanding of the joy on the other side of it. The cross is not something to escape, rather it is something to be embraced! You can not see this with your natural eyes. You must look with the eyes of your spirit. His endurance of the cross was His love towards us. Our endurance of the cross is the working of our love to others. The world can not understand this incredible working of His love. Well there it lies before you, will you pick it up? It is the doorway to your destiny. If you want to see something radical happen in you, your local church, and city? Then pick up your cross and follow Him! The baptism of repentance is laying the ax to the root for the remission of sin. What was John the Baptist saying? Most of us think of what he meant in the simplest form. I did for years. I simply thought it was to repent from sinful behavior so I could be forgiven. As I have been around a couple of blocks now I've found reason and purpose to why this has to happen in the life of every believer. In this passage of scripture he refers to the ax being laid to the root of trees. Mans existence is determined and defined by one of two trees. The Tree of Life and the Tree of the Knowledge of Good and Evil. When Adam ate of the Tree of the Knowledge of Good and Evil, he redefined the consciousness in which he would walk in. In a sense, he grafted himself into the Tree of the Knowledge of Good and Evil and was destined to bear the fruit of that tree. Since then men are born with the instinctive pull of the Tree of the Knowledge of Good and Evil. Scripture declares that God wants us to be Oaks of Righteousness. In this passage men are essentually being desrcibed as trees. Trees that don't bear good fruit shall be chopped down and cast into the fire. After we are born again we are grafted into the Vine. Christ Himself in whom we live and breathe and have our being! As the result of this change, we are able to bear good fruit. Yet why is it that we still can bear bad fruit? Selah. There are two trees in the garden. From the Tree of Life we produce life. The Tree of life is rooted in God's Love. It can not be manipulated, it is incorruptible. To draw from the life of this tree, we must bow down and humble ourselves to the Lordship of Jesus Christ. 1 Peter Chapter 5 declares that God resist the proud and gives grace to the humble. He goes on to say that we must humble ourselves under the mighty hand of God that He may exalt us in due time. Grace from the Tree of Life is freely given to the humble for life and purpose. Pride in man sets itself up to defy and oppose God. In turn God Himself makes Himself the enemy of that pride. It was pride that got Lucifer kicked out of Heaven. He was simply impressed with how great he was. He looked at himself and was well pleased! We all laughed at how 'The Fonz' from the old show "Happy Days" use to walk up to the mirror to comb his hair and saw that it was still perfect and go "hehhh" and put his comb back in his pocket as he strutted off proudly. As funny as it was on the show, it was that attitude that removed Lucifer from heaven. Don't get me wrong. God is leading us to get rid of this behavior and we must laugh at ourselves and each other as we seriously go through the process of change, but God is intent that we see this condition. The Tree of the Knowledge of Good and Evil feeds the pride of man. Men want knowledge. It puffs them up and sets them apart from others. That's where the serpents power was rooted, in this very tree. That's why whether a man is robbing a bank or starting a church, if he is flowing from the sap of this deadly tree, he is the enemy of God. Why? Because he is flowing from his knowledge of good and evil rather than from his relationship with a living God who speaks to and gives grace to his children. God wants to lay the ax to the root of the Tree of the Knowledge of Good and Evil in every mans garden. When John preached repentance for the remission of sins, this is what he was talking about. When the ax is laid to the root of the deadly tree, the effect of that tree no longer has power in our lives and we can overcome sin by abiding in the vine of the Tree of Life and manifest Christ to the earth. When a sickness or disease goes into remission, it means that the sickness no longer has any effect in our body. The potential remains but the effect is gone. When we lay the ax to the root of our pride and carnal nature, it no longer has power or effect in our being. The potential is there but the power or effect isn't. At this time we don't oppose ourselves and God with our heart condition. Our ability to rise up in pride actually comes from partaking of the Tree of the Knowledge of Good and Evil instead of the Tree of Life. Humility partakes of the Tree of Life, pride partakes of the Tree of the Knowledge of Good and Evil. When we rise up in pride, that tree again takes its place in the throne room of our hearts. Our pride essentially grafts us into the deadly trees influence. When we obtain knowledge whether it be good or bad from this tree, it is deadly. If we eat from the good we become self-righteous because we think we know whats evil. Our underlying motive is to improve our self and set ourselves apart. Total self-conscious motivation. It wasn't until Adam ate from the Tree of the Knowledge of Good and Evil that he determined being naked wasn't good and he determined it would be good to make an apron to cover his nakedness. In John 9:41 Jesus said to the Pharisees, If you were blind you would have no sin; but now you say, 'We see.' Therefore your sin remains. Romans Chapter 5 says that Jesus made us righteous, what can I do to add to that? So my food for spiritual sustenance can not be a quest for the knowledge of good so that I can fix myself, I've been fixed by Christ. Jesus said in John Chapter 4 that His food was to do the will of Him who sent Him. Now from living and being in Christ or abiding in the vine, I will obtain revelation knowledge from Christ. It's all about the heart motive and our approach. In scripture Jesus said that He of himself could do nothing. He said that He only does what he sees the Father do and says what He hears the Father say. His desire was to follow and obey the One who sent Him. The result of Jesus life on the earth was that He never ate from the Tree of the Knowledge of Good and Evil and He was the Tree of Life to all who would receive Him. God wants to manifest fruit from the Tree of Life through us and all creation groans for the manifestation of the son's of God to occur. If we find ourselves opposed, quickly check your heart and humble yourself under the mighty hand of God to determine if it is God that opposes you or the enemy. The enemy you can move out of the way. God is another matter, you can't move Him unless you are willing to humble yourself so that His grace will abound to you and not against you. This is not to say that opposition can't come in many forms. Because of the fallen nature in the earth, bad things happen from various people and places. The enemy comes as a roaring lion, but even if he was taken from the earth their are plenty of others who would be left to do works of evil. The good news in all of this is that Romans 8:28 declares that all things work together for the good of those who love God and are called according to His purpose. We must trust the sovereignty of God as we grow in Him. I have been spending some time with the Lord recently. Most of that time spent has been a circumcision of my own pride and ego that had left me formless and void. What I'm going to say has been birthed in me through this experience. I've been a Christian since December 10, 1982. 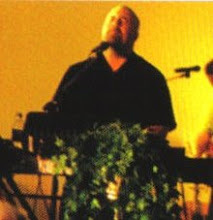 I've been a singer/songwriter, and worship leader since 1985. I have drifted back and forth between different streams of ministries only to find myself frustrated and longing for clarity. Through this process I've been able to keep some of the revelation I've obtained and I've had to discard some. I know that scripture says to the pure all things are pure and to the defiled, even their hearts and consciouses are defiled. That being said, some of my frustration and the way I perceived some revelation in the past was probably tainted at times by my own heart condition. Nevertheless, God has been making some things very, very clear to me at this time and I believe I've not only been given a mandate to declare what He has shown me, but I'm also to dive into this direction as part of my own walk in Him. Here it is. Mark this day in your calender because it is the beginning of the greatest dispensation of God's Spirit in history that the Church has ever walked in. God is circumcising the corporate heart of His body in the earth. It is the beginning of wisdom because the fear of the Lord will be working at a much higher level corporately. It is the revelation of two trees. It is the difference between those who are grafted into the Tree of Life and those who are grafted into the Tree of the Knowledge of Good and Evil. Those who do things because they love and those who function out of their knowledge of good and evil. It is the difference between the helpless and those who say they know. It is the difference between those who say they only do and say what they see and hear their Father saying and doing, and those who have defined, by their own reason, to have determined good and evil. It is the year of distinction and separation between the humble and the prideful. In the next ten to twenty years you will see this revelation of the two trees become clearer than the faith message and other revelations that have preceded it through history. It will also bring more distinction and clarity to every revelation we have ever heard in the past. It will be seen as the very foundation of our faith because it will cause Christ to be formed in man at an accelerated rate never seen before in times past. The reason for this, is that it is Christ revealed as the Tree of Life. We are grafted into Him! Those who hear will begin to lay the axe to the root of the Tree of the Knowledge of Good and Evil which achieves it's power in man through their own pride and arrogance. When this happens the power of the Tree of the Knowledge of Good and Evil will no longer have power in them and they will understand what John the Baptist meant when he declared to repent for the remission of sins. Through this process the true Apostles will emerge with clarity and it will be rapid. The restoration will be broad and clear. They will also walk from this place of clarity between the two trees exposing and establishing the people of God in His love. The love of God will be seen as never before because the Tree of Life is deeply rooted in His love. This will be the defining factor of the Apostolic office. When this office rises up this revelation will be it's banner and we will see the beginning of unity throughout all those who will be unified. Men will no longer judge others spirituality by their own consciousness of good and evil, but by the voice of God. Men will see and judge things differently than in past times. This will be a huge surge in the process of restoration. You will begin to see God raising this revelation all over the earth from all kinds of ministries. God is opposing the proud in His body to bring them to this revelation and those who are His are laying the axe to the root of the Tree of the knowledge of Good and Evil. Many ministries will be judged harshly and wrong throughout this process but even that will bring about this revelation even faster. The fact is God is allowing the opposition that is bringing the revelation forth. Our part is to embrace this process though it may be painful to some. When we find ourselves opposed we must search our hearts quickly and deeply to determine whether or not our own pride could be in direct opposition with God or not. God will show everyone who is willing to accept this possibility. To each one it may come in a different form. Do not judge harshly what you may hear about others or by what you see others do because it could be part of a divine process and you could be in danger of unrighteous judgement. Men will not be judged as much for what they are doing, but why they are doing what they do! God will define mens hearts. This is a glorious day in the earth. I have to mention two books that are truly forerunners to what you have just read: "There Were Two Trees in the Garden" by: Rick Joyner and "Surrender God's Key to Success" by: Arthur Burt. What is your shadow doing? I woke up in the early morning hours last night and I was trying to quietly slip by my one year old son without waking him. He is a light sleeper and if he senses my presence going by him, he wakes up. As I was thinking this, I heard inside, "What is your shadow doing to people?" I knew I didn't think that up! I believed that the Holy Spirit was speaking to me so I began to meditate on this word I was given. As I yielded my thoughts to the leading of the Holy Spirit, I thought about Peter's shadow healing a man as he walked by. It was clear to me that Peter's thoughts were not even conscious of trying to heal the man. I then thought of the woman with the issue of blood. She pressed through the crowd and touched the hem of Jesus' garment. He stopped and turned around to see who touched him because he felt virtue go out of himself. Again, he was not consciously trying to heal the woman yet she was healed. [Our presence produces something whether it be life or death. We are supposed to be 'The Church'. Before Christ, in the temple of the Lord was where God's presence was, scripture says we are now the temple of the Holy Ghost. We are the Church, the environment of God for healing, restoration, salvation, etc. When a person comes into our presence, they should be able to receive the fruits of the Spirit, healing, etc. Yet, what is our 'shadow' or 'presence' doing to others? Are we running them off, creating heavy unreasonable burdens? Are we sucking the life out of them? Are we scaring them? Are they having to tip toe around us? Do we tire them out with our negativity and doubt? Do we hammer them with self righteousness? At this point the Lord brought me to the story of the sheep and the goats in Matthew 25:31-40 coupled with the reference in Matthew Chapter 7. I noticed some very distinguishing differences between the sheep and the goats. The goats defended there position of worthiness to Christ by all the wonderful works they did, such as casting out devils, etc. The sheep on the other hand were told by the Lord of their great works. How they clothed him when he was naked and how when he was hungry they fed him, etc. There reaction was entirely different from the goats. They said ,"When did we clothe you? When did we feed you?" Jesus said, "In as much as you did it to one of the least of these my brethren, you did it unto Me." The point is, they weren't even conscious of their works. I believe their consciousness was set on staying in His presence, and the result was the fruit of the Spirit being produced everywhere they went. Scripture says signs and wonders follow those who believe. Jesus said, "I only do what I see my Father do and I only say what I hear Him say". By staying focused on the Father, Jesus was constantly producing good works. The holy presence of the sheep was a living and ongoing work of Christ in them. They abidied in the vine, seeking first the Kingdom of God and His righteousness and all those things like, faith works, fruits of the Spirit, signs and wonders, etc., were added to them without it having to be a conscious effort. The moment we make works, producing good fruit, taking the city, healing the sick, feeding the hungry, casting out devils, preaching, singing, taking back our nation, etc., the point of our worship, we corrupt the very works God meant for us to do. Our existence in this world is meant to be immersed into His very presence, in total communion with Him. It is impossible to live this way and not produce fruit! What else could happen! We don't have to figure out how to win the world, we have to figure out how to live, move, and have our being in Him. This is why our worship times are so important, as well as our prayer and study times bringing the sweet communion with our Father. Then we will take the city if He wants us to and not even be conscious of the scope of His miraculous abilities in us that did it. Charles Finney walked in the manifest presence of God in the early 1800's and people would begin to weep in his presence crying out for repentence without him even having to utter a word. This has happened with other believers. I believe by our faith, we can live in this way today--in the Shadow of the Almighty God!